Many users have been complaining about the Notification Center Cydia Tweak Favorite Contacts 7 not working partially or completely on their devices using iOS 7.1, iOS 7.1.1 and iOS 7.1.2 after applying Pangu Jailbreak. In this article we came up with a tested solution that works very well around this problem. Just by following the few steps mentioned below you can overcome this problem and add your favorite contacts directly to your notification center. Before we go into the solution we made a brief description of the tweak for those of you who do not know about it. We have also made two lists of Best Free Notification Center Tweaks and Best Paid Notification Center Tweaks. For further customization of your Notification Center, follow those two links above for the lists. What is ‘Favorite Contacts 7 for Notification Center’ ? Favorite Contacts 7 for Notification Center is a notification center tweak that adds your favorite contacts directly to the notification center so that you can call your favorite contacts from anywhere in your phone without having to close the current running apps and without having to open the phone app. This way it is more easy to make a call while you are already using another App or in some important work. 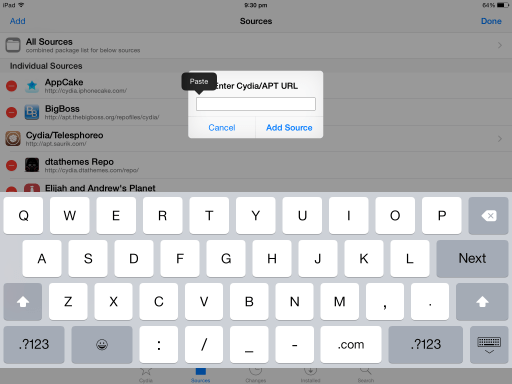 It is a paid cydia tweak available for $ 1.99 on Cydia. The solution to fix Favorite Contacts 7 not working on certain versions of iOS 7 after Pangu Jailbreak is given below in a series of steps. 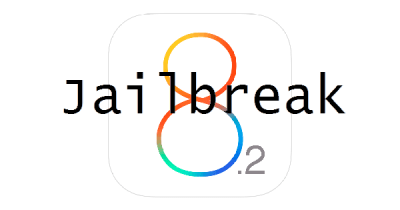 After carefully following all the steps, you should be able to use this tweak without any problems. Bear in mind this is a Paid Cydia tweak priced at $ 1.99 on Cydia Store, so be careful before you proceed to download it if you are not that excited to use this tweak. 1. 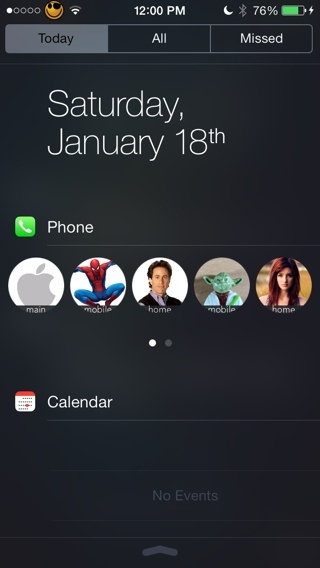 Install “Favorite Contacts 7 for Notification Center” from Cydia Store. 3. Go to Favorite Contacts 7 in the Settings App and disable everything. 4. Respring your device again. 5. Go back to Favorite Contacts 7 in the Settings App and Turn ON the options that you require (ideally Show Names, Ask for Call, Ask for Text and Tap and Hold). 6. After this, Respring your device once again. 7. Now Favorite Contacts 7 for notification center must be ready and working on your iOS device without any problems. That’s it for now. If you have any further queries or any other solutions for this problem, please feel free to comment below or contact us on our social network pages. Hope this has helped you solve your problems. 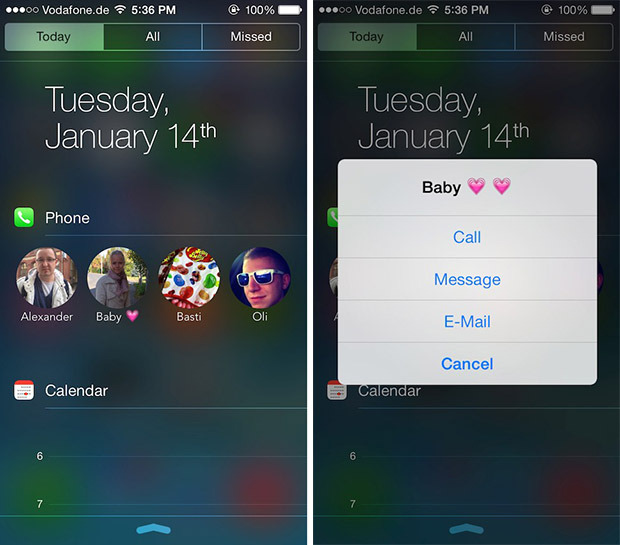 Visit our last two articles for further notification center tweaks like Favorite Contacts 7. Still won’t dial only 1 contact, calls the others no problem. Tried reinstalling tweak and following the instructions above but for some reason the tweak will not call this one phone number in my favorites. Respring is a kind of a restart. When you “respring” your iOS device, it takes your latest software changes when it starts again.